I’m looking to get better airflow from the HVAC to the forward stateroom and thinking of increasing the size of the duct to 4”. Has anyone tried this and did it help improve the airflow to the stateroom? 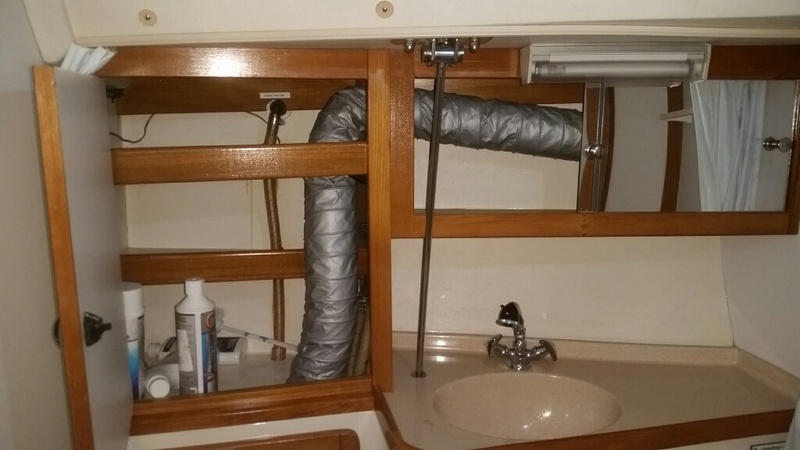 Previous owner installed his own AC unit under the main cabin settee right in front of the galley sink, and ran four-inch ducts up the port side to three places in the boat, including the forward cabin. 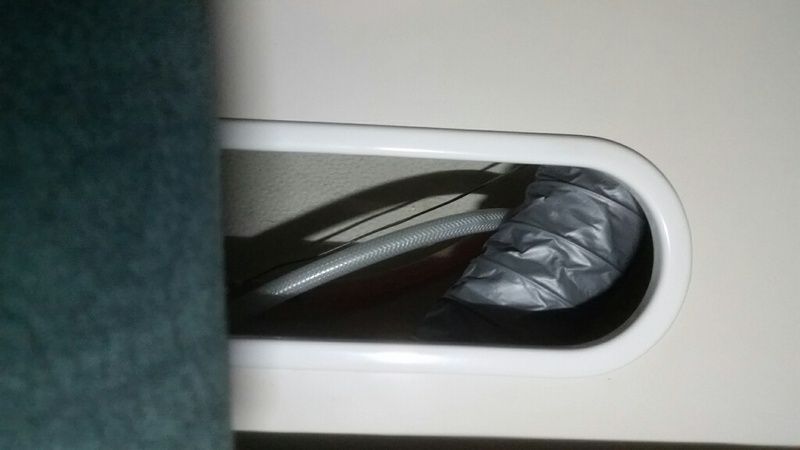 The duct runs behind the port settee, behind the head cabinetry, and exits right next to the reading light on the V-berth bulkhead. It's neat work, and you cannot see the ducts unless you open up cabinetry. I attached a couple of photos to help. As far as flow, a 3" circle has a 7 sq-in cross section, and a 4" circle has a 12.5 sq-in cross section, so the flows are going to be proportionally larger (approx. 80% more). You may have to boost your AC fan size, however, to take advantage of that additional flow.